Well, looks like the dismal winter is over! As you enjoy the balmy weather and clement breeze of air, it’s even better if these moments are shared with your InterNations friends and new acquaintances. You are cordially invited to the InterNations Montreal Official Airy April Event at Belon - an upscale seafood restaurant with glass walls, elegant, airy and full of light. 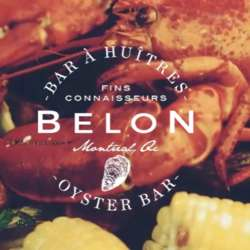 If you’re a seafood aficionado, Belon should definitely be on your must do list for April. They have a reputation for serving some of the best and freshest seafood in town. And shucky for us, there will be a great $1 oyster deal! We have your first drink covered with a special price included in the entrance fee, exclusively provided for InterNations. Friendly reminder: Please bring CASH - we don’t accept credit cards. Come one, come all! Bring your friends!